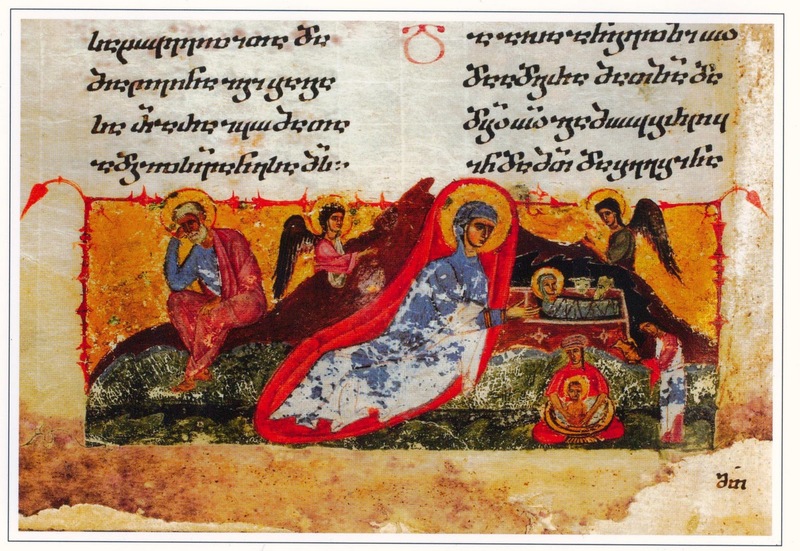 As I mentioned in a recent post, I’ve been at work on a little document presenting the Christmas story in Old Georgian. From a philological perspective, and from the perspective of language pedagogy, the Gospels stand out as a special group of texts, because in many languages we have multiple translations or revisions of earlier translations. In addition, of course, there is the fact that a number of passages exist in more or less similar versions across the four Gospels. All that to say, the Gospels offer students of this or that language and those interested in the variety of ways a text may appear in different translations an excellent opportunity for study. (Other genres where similar benefits accrue from the same kind of surviving multiple translations are philosophy and patristics.) The benefit derivable from a study like this to some extent depends on the format of its presentation. (For an excellent presentation of the Syriac Gospels, see George Kiraz’s Comparative Edition of the Syriac Gospels, 4 vols.) A digital presentation of the requisite texts certainly offers promising possibilities, but at least strictly for the texts, a conventional 2-D display with one layer, whether on paper or on screen, can be very valuable for those who read it closely. I welcome any comments on the document, not only corrections, but also remarks on the layout, on the worth of a lexicon for such a small text selection, whether more grammatical information should be supplied (and if so, how much), &c.
As always, thanks for reading and best wishes in your studies!